There are several kinds of skin cancer, most of which are related to prolonged exposure to sun. Fair skinned individuals are most at risk. Exposure to the sunlight is a risk factor and should be avoided from babyhood; the use of sunbeds is, in addition, a risk factor and .should similarly be prevented. Skin cancer is now the most common type of cancer on the planet. Recently, the prevalence around the world has escalated, and the condition now affects millions of individuals world-wide. The great news is that skin cancer can generally be treated if it’s diagnosed early, though preventative measures are always preferable. The common source of skin cancer is lengthy exposure to the dangerous ultraviolet radiation in sunlight. The risk is higher if you’re fair skinned and if you reside or take vacations in regions with extreme sunlight; the closer you are to the equator, the greater the risk. It’s the accumulative hours of sunlight that count so if you live in an extremely bright spot you’ll reach your “cancer-inducing dose” before than someplace like the united kingdom where there isn’t so much sunlight. The recent depletion of the ozone layer is believed to have played a part in raising the prevalence of skin cancer because the ozone layer acts as a shield against harmful ultraviolet (UV) light. Sunbeds, which give out ultraviolet light, may also cause skin cancer. It’s also wise to remember the more times you’ve been sunburned, the greater your likelihood of developing malignant melanoma, the most dangerous type of skin cancer. If you work outside or have been sunburned (especially in youth), you might be exposed to skin cancer. People that have fair skin are particularly susceptible because they have low amounts of melanin, the pigment that give the skin its colour and helps shield it from the sunlight’s dangerous ultraviolet rays. To reduce the risk of developing skin cancer, avoid exposure to sunlight and shield your skin when outside. Examine your skin regularly, and ask somebody else to assess your back and scalp. Wear UV-resistant garments in regions of extreme sunlight and where there’s lots of reflection, for example on snow or water. There are three primary kinds of skin cancer all linked to overexposure to the sun. The most common kind is basal cell carcinoma, which can be readily treated. It seldom spreads. Squamous cell carcinoma is a type of skin cancer which will spread and is sometimes fatal, but can be treated entirely if found early. Quickly to other parts of the body and causes more deaths than other skin cancers. An unusual skin cancer, known as Kaposi’s sarcoma, generally appears only in individuals with acquired immunodeficiency syndrome (AIDS). Skin cancer can generally be treated if it’s diagnosed early. You should consult your physician quickly if you find any changes in your skin, for example enlarging lumps or sores that don’t recover. You may have to have a skin biopsy. During this process, a little region of skin is removed and examined under a microscope for abnormal cells. 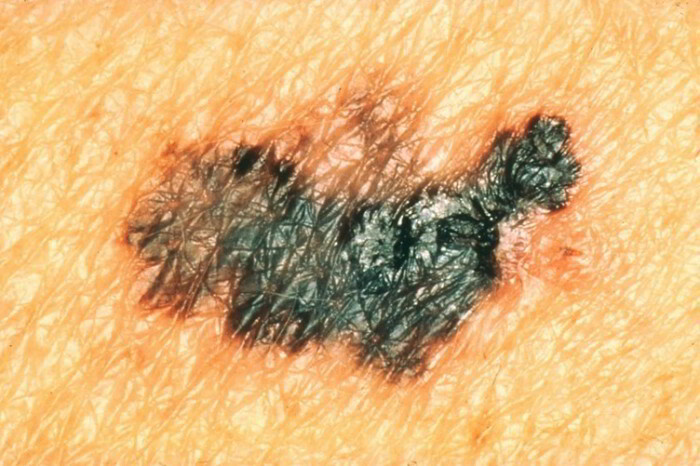 The kind of skin cancer and spread of the disease determines the treatment and prognosis. Occasionally, only the affected area of skin must be treated. It’s possible to remove most types of skin cancers surgically. Nevertheless, skin grafting may be needed if a cancer has invaded large areas of surrounding skin tissue. If the cancer has spread to other parts of the body radiotherapy or chemotherapy are often desired.